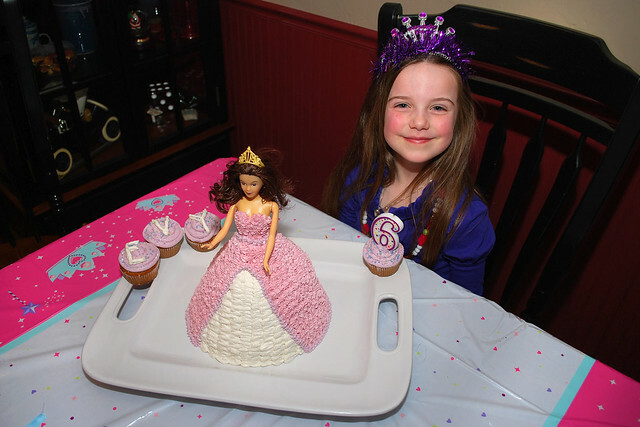 Evelyn was able to celebrate her sixth birthday for an entire four day weekend. Highlights included Build-a-Bear, Red Robin, a party, a princess cake, a cookout, bringing treats to Kindergarten, and a cupcake on her actual birthday. Being six is sure starting out great. More pictures of Evy's sixth birthday are on Flickr.